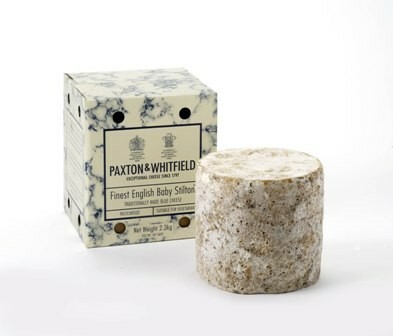 The milk used to make Stilton is a blend of morning and evening milk to which starter culture, rennet and blue mould culture is added. Once curds have formed, the whey is drained and the curds are hand ladled from the vat to the 'table' where they settle over night. The following day, the curds are milled, salted and transferred by hand into cylindrical moulds. After a week when the cheeses have started to develop, they are taken out of the moulds and the rind is smoothed down. They remain in the ripening room before they are pierced with stainless steel needles to encourage air to reach the interior of the cheese to spread the growth of the characteristic blue veining.